Though it was born back in 1845, over the years Fernet Branca has successfully preserved the personality and uniqueness that have conquered Europe and America alike. Its secret formula, passed down from father to son in the Branca family, has guaranteed the protection of the quality that still makes it the digestive bitter liqueur par excellence. Indeed, the 27 herbs it contains come from four continents: aloe comes from South Africa, rhubarb from China, gentian from France, galingale from India or Sri Lanka, chamomile from Italy or Argentina, just to name a few. On top of that there are flowers, herbs, roots and plants used for alcoholic brews, extracts and teas that, blended in a special mixture, produce the beneficial properties of the product. Fernet Branca ages for at least one year in oak barrels and has a light brown colour with amber hues. Its aroma is intense and penetrating, balanced and rich. 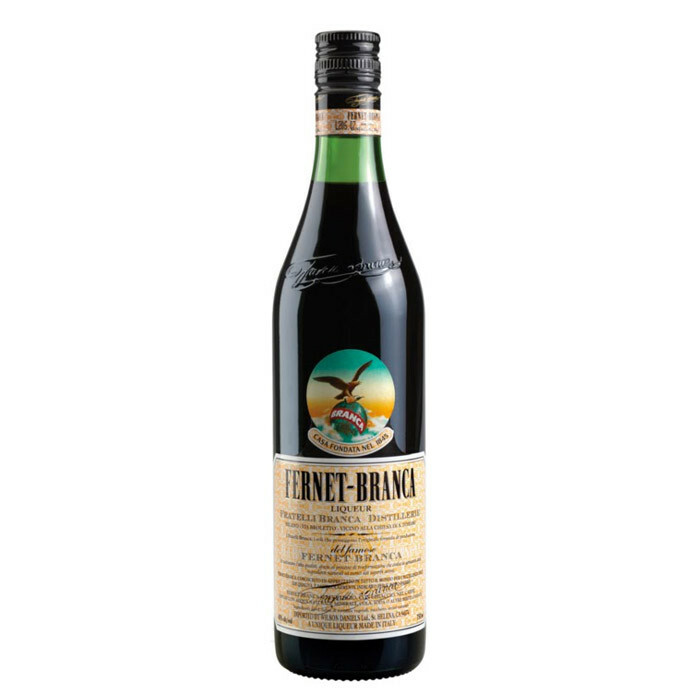 Fernet Branca is a good match for desserts or refined dishes such as "Risotto alla Milanese" or steak tartare. Fernet Branca is particularly refreshing if mixed with cola or Chinotto, a drink with a clean-cut and unexpected flavour. Fernandito, a cocktail that has conquered Argentina thanks its unique character. It is easy to do and very flexible, so it is an ideal aperitif that is becoming increasingly popular all over the world among those who love to share a drink with their friends.